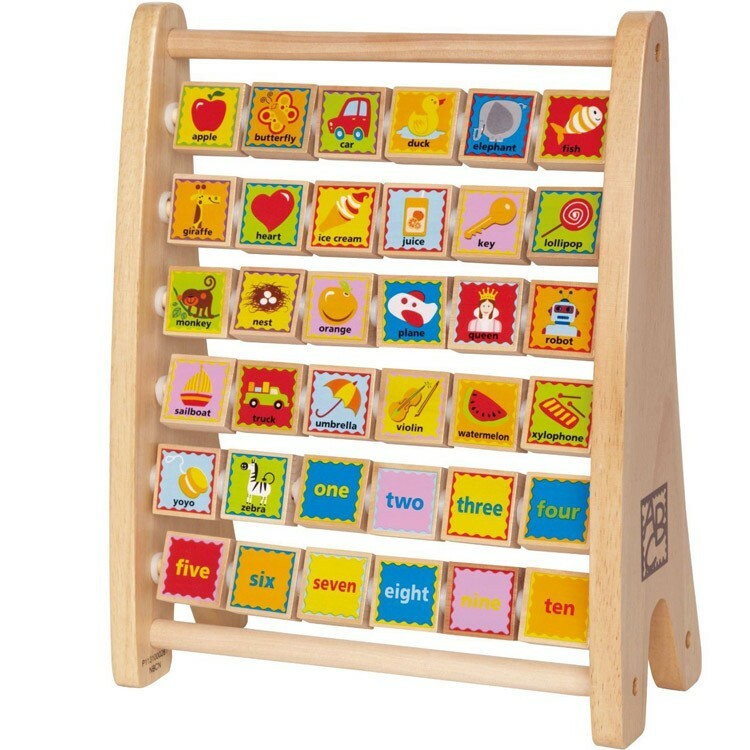 Classic abacus toy comes with a twist: learn not only counting and numbers, but also letters and first words with this quality wooden abacus! 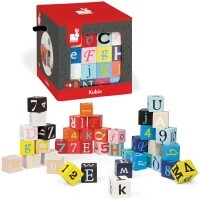 Who knew that learning your ABC's and 1-2-3's could be so much fun! 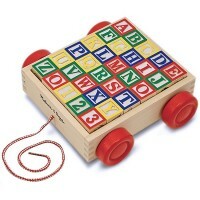 This whimsical wooden Alphabet Abacus Learning Toy puts a new and colorful spin on a classic toy. 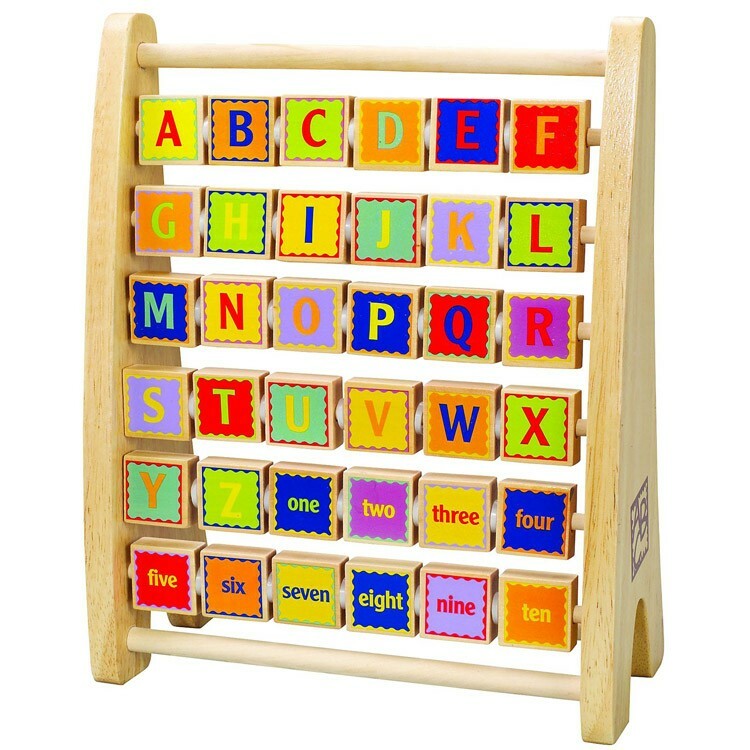 Perfectly sized for little fingers, wooden blocks have multicolored letters on one side and correlating picture of the alphabetically correct word on the other. 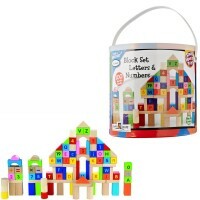 Similarly colorful numbers have their name written on the opposite sides of the blocks. 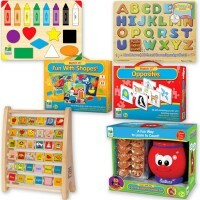 Hape has been creating quality toys for over 30 years and this one is no exception. 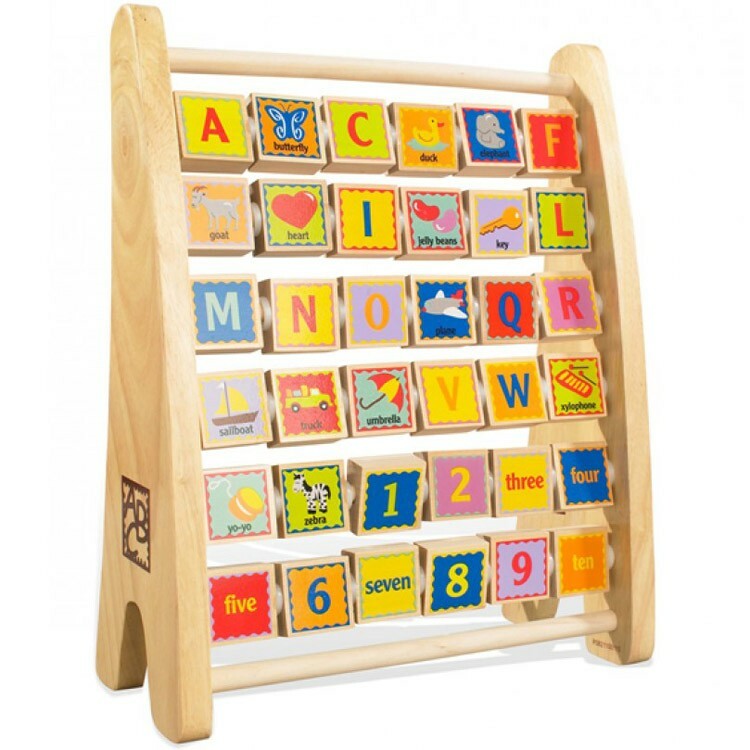 Alphabet Abacus Learning Toy is constructed with superior quality craftsmanship from Baltic birch plywood and hardwood. 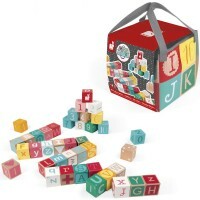 This toy is durable, easy to clean and store. 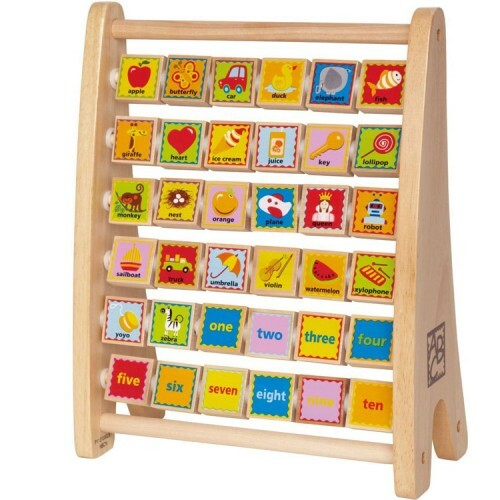 The size of the Alphabet Abacus is ideal for either table or floor play. 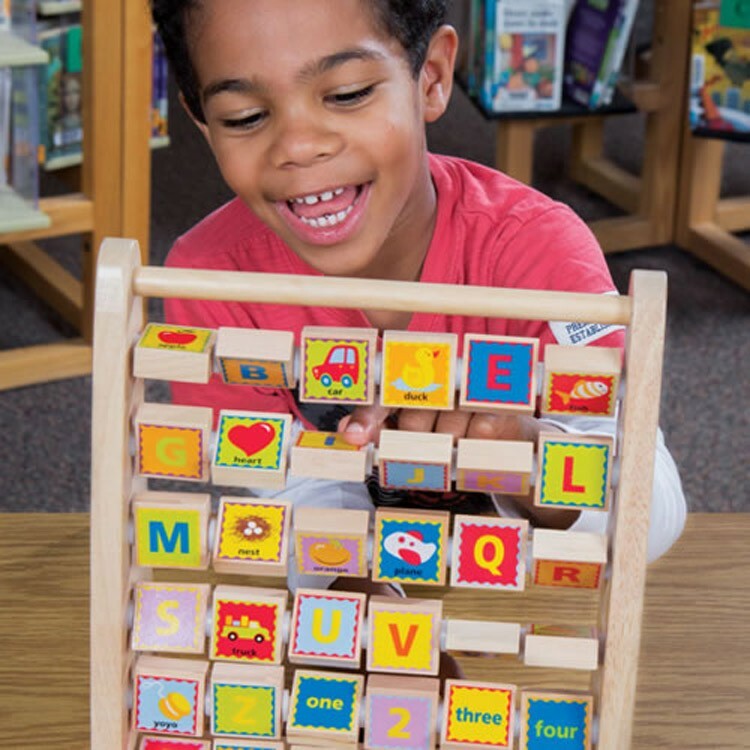 In addition to imaginative fun that you child will have manipulating the blocks and discovering delightful pictures, Alphabet Abacus Learning Toy will also supply great deal of interactive educational value. 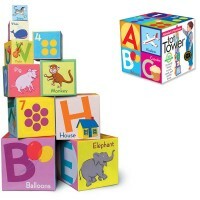 As with many of toys for babies and toddlers offered by Educational Toys Planet, this ABC learning toy will help your child develop better vocabulary, hand eye coordination, letter sound and number recognition. 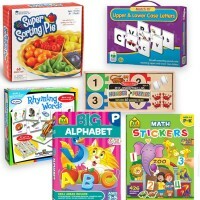 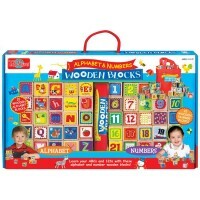 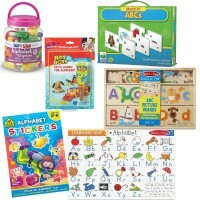 Dimensions of package 4.72" x 10.04" x 12.6"
Write your own review of Alphabet Abacus Learning Toy. 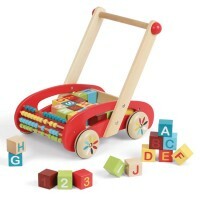 Rating: 5 loves it by hoodini great organizational and cognitive as well as large motor influence.